Whether dealing with rental apartments or trying to switch things around without picking up a hammer, check out these tried and true tips to spruce up a bathroom in minutes and without doing a full bathroom reno. Everyone loves a good before and after bathroom reno, but when it comes to our own spaces we look for easy ways to make a quick fix. Whether dealing with rental apartments or trying to switch things around without picking up a hammer, check out these tried and true tips to spruce up a bathroom in minutes. Tired of half empty shampoo and body wash bottles gunking up the edge of the bathtub or the shower floor? Organize it all with a caddy and you’ll never look back. Easy installation and rust-proof construction. 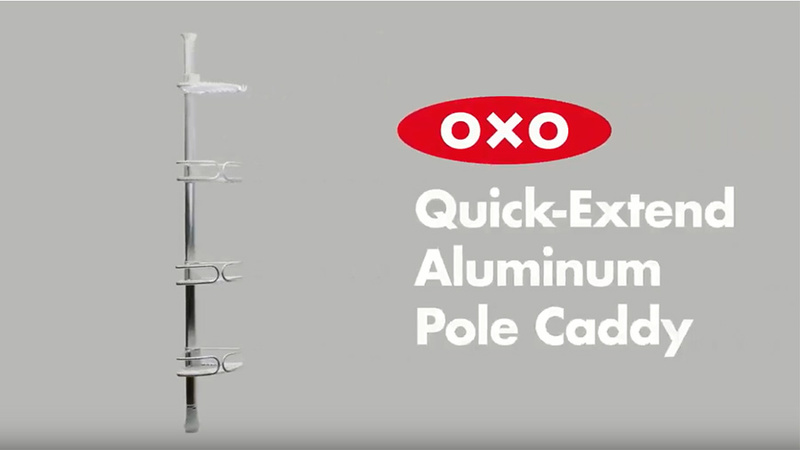 The Quick-Extend Aluminum Pole Caddy solves almost any shower storage challenge, with four adjustable shelves sized to hold larger bottles. No tools necessary – the Caddy installs easily to fit in any space 5 to 9 feet tall, meaning it works in both bathtub/shower combos and single shower bathrooms. Best of all, hooks help keep razors, washcloths and loofahs organized and bottle holes make it easy to store bottles upside down and maximize every last bit of product. Looking for something a bit smaller? Hook a 3-Tier Shower Caddy onto the shower head and use the adjustable suction cups to keep everything securely in place. Small adjustments can make all the difference too. We like to keep a squeegee in the shower to make it easy to keep glass-walled showers looking good. Eliminate messy soap residue and free up counter space by adding a Suction Soap Dish. 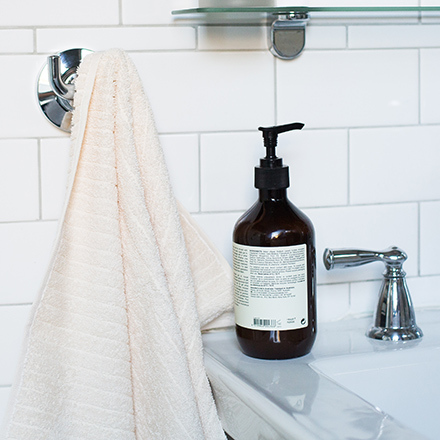 Or, make a simple upgrade by filling a Soap Dispenser with your favorite fancy hand soap. It’s the little things, right? Be honest: When is the last time you replaced the toilet brush? Attach a new brush refill or refresh the space altogether with a Compact Toilet Brush & Canister that’s sleek and stays out of the way. You’ll thank yourself on days when it’s time to scrub up and every other day when you barely even notice it’s there. For a quick, no-install fix we like to add a Suction Hook to any area that might be missing one. 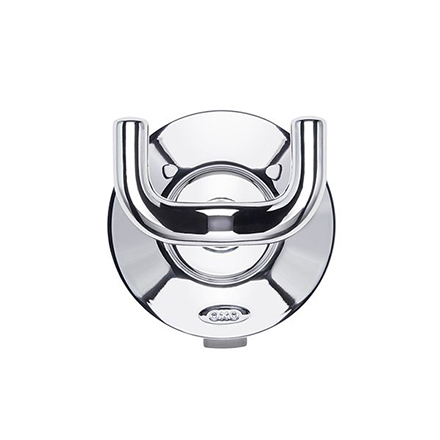 The Suction Chrome Double Hook has the appearance of built-in hardware and is a great solve for bathrooms with a lot of tile – no full bathroom reno needed. Use these to dry hand towels, hang extra loofahs or even just make it easier to grab a robe right out of the bath. Ready to tackle it all? Share your results on social using #OXOBetter. Looking for even more tips? See how to get a super clean and organized bathroom in 6 steps. Just bought a new home…will be a regular customer soon. Renovations at their finest! OXO never disappoints! OXO Customer For Life!